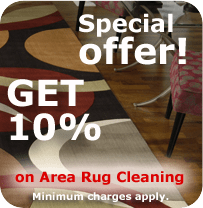 Legacy Carpet and Upholstery Cleaning LLC , located in the San Francisco Bay Area, was born to keep the desire of quality carpet cleaning and excellent customer service alive. Josh Adler, owner of Legacy Carpet and Upholstery Cleaning, is a second generation carpet cleaning professional. He has been involved in the business since childhood with his parents, who owned and operated their own cleaning and restoration company. They taught Josh the skills and what integrity is in owning a business. Josh – who, with management skills from previous, similar positions, started Legacy to give the customers what they wanted: excellent service, and expertly- cleaned carpets, upholstery, area rugs, tile & grout. Armed with a smile, Josh utilizes essential tools and machinery to perform his job, and the skills to do it right the first time, Josh treats each and every home or place of business with care and respect. Certified in: carpet cleaning, upholstery and fabric cleaning, stone masonry, and ceramic cleaning, rug and carpet cleaning, color repair, odor control, and leather cleaning.